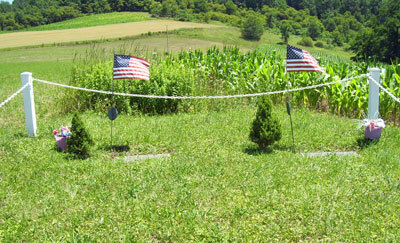 Burial ground for two Revolutionary War Veterans. Rt. 219N to Carrollton. Take turn to Patton. In Patton, turn left on 3rd Ave. In Klondike area, go 3 mi. out of town. Watch for wooden sign with directions.